Dominique Ansel, famous for inventing the Cronut, the new dessert that’s taken New York by storm, has finally revealed the recipe for this decadent dessert … and boy, is it a doozy! Making Cronuts at home takes over 3 days to execute, between making ganache, pastry dough, and the butter block. 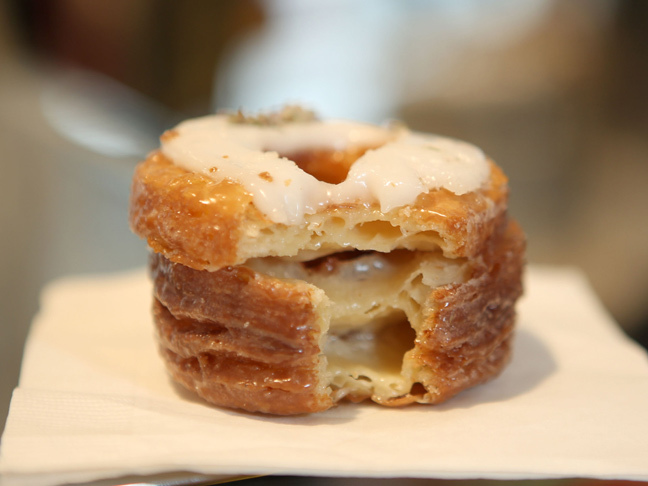 But, for the cronut faithful that can’t make it to the Dominique Ansel Bakery in SoHo, this big reveal is just for you! Get the detailed Cronuts recipe right here via Good Morning America, or in the cookbook: Dominique Ansel: The Secret Recipes.